The area southwest of the cathedral is almost one hectare in size and includes smaller water bodies and remains of medieval walls. 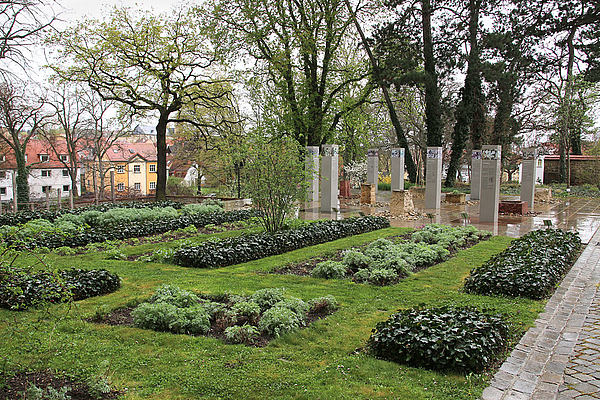 Following a redesign, the cathedral garden has been open to the public since 2011. Part of it is the "Garden of the Naumburg Master" with plant species that the sculptor used as models for capitals, friezes and keystones in the cathedral. The Romanesque-Gothic church in Germany has been included in the UNESCO World Heritage List as an outstanding testimony to the architecture and sculpture of the High Middle Ages. An informative photo tour.